We have millions of bacteria – some good, some bad – living in our colon, which is the very last portion of our gut (aka the large intestine). The combination of all these microorganisms is often referred to as our microbiome. But because they have so many beneficial health effects, probiotics are often referred to as "the good bacteria." Since most of our digestion happens in our small intestine (before the colon) much of what reaches probiotics are things like fiber and other compounds that we as humans are unable to digest. Bacteria have different equipment than we do, however, and are able to break down much of what we can't, making them an integral part of obtaining nutrients from the food we eat that we would have missed otherwise. Ready for the full battery of health benefits currently known from consuming live active cultures? Buckle up. 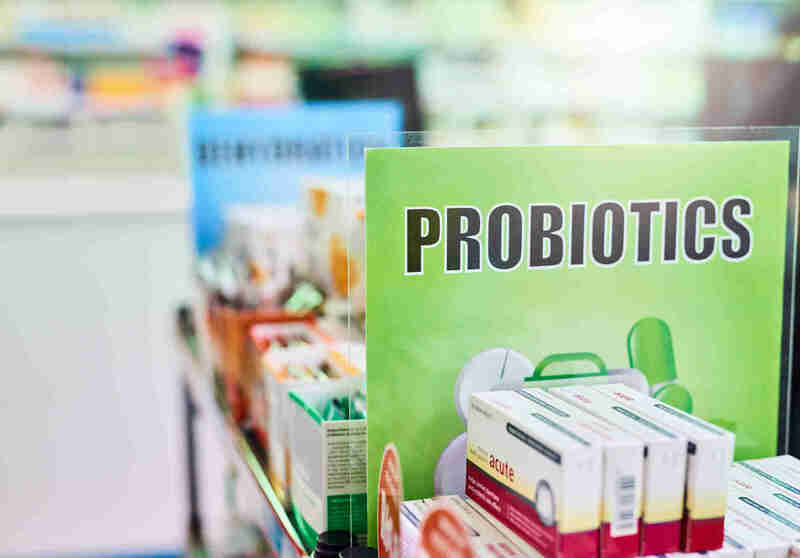 If you suffer from leaky gut syndrome, probiotics can help to regulate any issues in your intestinal lining, which is linked to a number of different ailments, like diabetes, chronic fatigue, arthritis, acne, and obesity. Some people are genetically predisposed to this, but it can also be catalyzed from lifestyle factors like diets high in sugars, processed foods, and alcohol. The benefits from probiotics aren’t just limited to your belly, though. Fermented foods like kimchi, kochujang, and kefir can improved lipid biomarkers like LDL, HDL, and total cholesterol, as well as triglycerides.4,5,6,7,8,9 As a result of these changes, probiotics and fermented foods are associated with a lower risk of cardiovascular disease. There’s pretty well-established evidence that probiotics can help influence weight loss.8 But relatively new research shows that a healthy gut microbiome might also play a key role in keeping lost weight off. As we mentioned above, your diet can heavily influence the types of bacteria that colonize your gut. So if you eat lots of high-sugar foods, bacteria which thrive on sugar will begin to take over – it seems like this shift, if not reversed, might drive weight regain in some individuals.17 So if you feel like you crave sugar, or consider yourself someone with a sweet tooth, your gut microbiome might be to blame (or thank, depending on your outlook). No, the words “fermented milk” might not sound particularly appetizing, but kefir has a tang similar to Greek yogurt, and often comes in flavors like strawberry and blueberry. Try swapping out your typical pre- or post-workout supplements for a week or so and see if there are any noticeable changes in your recovery times. The study of the connection between your gut and your brain is relatively new, but there appears to be a connection between your belly bacteria and things like mood and cognition. Certain strains of probiotics may also have anti-Alzheimer's effects.20 There still needs to be more research on the topic, but it’s a very promising field. Like many health and nutrition topics, probiotics isn't one that can be easily and completely summarized. But countless studies have examined and confirmed their widely varying health benefits. Choi, I. H., Noh, J. S., Han, J. S., Kim, H. J., Han, E. S., & Song, Y. O. (2013). Kimchi, a fermented vegetable, improves serum lipid profiles in healthy young adults: randomized clinical trial. Journal of medicinal food, 16(3), 223-229. Fathi, Y., Ghodrati, N., Zibaeenezhad, M. J., & Faghih, S. (2017). Kefir drink causes a significant yet similar improvement in serum lipid profile, compared with low-fat milk, in a dairy-rich diet in overweight or obese premenopausal women: A randomized controlled trial. Journal of clinical lipidology, 11(1), 136-146. Lim, J. H., Jung, E. S., Choi, E. K., Jeong, D. Y., Jo, S. W., Jin, J. H., ... & Chae, S. W. (2015). Supplementation with Aspergillus oryzae-fermented kochujang lowers serum cholesterol in subjects with hyperlipidemia. Clinical nutrition, 34(3), 383-387. Andrade, S., & Borges, N. (2009). Effect of fermented milk containing Lactobacillus acidophilus and Bifidobacterium longum on plasma lipids of women with normal or moderately elevated cholesterol. Journal of dairy research, 76(4), 469-474. Mohammadi-Sartang, M., Bellissimo, N., de Zepetnek, J. T., Brett, N. R., Mazloomi, S. M., Fararouie, M., ... & Mazloom, Z. (2018). The effect of daily fortified yogurt consumption on weight loss in adults with metabolic syndrome: A 10-week randomized controlled trial. Nutrition, Metabolism and Cardiovascular Diseases, 28(6), 565-574. Kiessling, G., Schneider, J., & Jahreis, G. (2002). Long-term consumption of fermented dairy products over 6 months increases HDL cholesterol. European journal of clinical nutrition, 56(9), 843. Ruan, Y., Sun, J., He, J., Chen, F., Chen, R., & Chen, H. (2015). Effect of probiotics on glycemic control: a systematic review and meta-analysis of randomized, controlled trials. PloS one, 10(7), e0132121. Ejtahed, H. S., Mohtadi-Nia, J., Homayouni-Rad, A., Niafar, M., Asghari-Jafarabadi, M., & Mofid, V. (2012). Probiotic yogurt improves antioxidant status in type 2 diabetic patients. Nutrition, 28(5), 539-543. An, S. Y., Lee, M. S., Jeon, J. Y., Ha, E. S., Kim, T. H., Yoon, J. Y., ... & Han, S. J. (2013). Beneficial effects of fresh and fermented kimchi in prediabetic individuals. Annals of Nutrition and Metabolism, 63(1-2), 111-119. Shida, Kan, et al. "Daily intake of fermented milk with Lactobacillus casei strain Shirota reduces the incidence and duration of upper respiratory tract infections in healthy middle-aged office workers." European journal of nutrition 56.1 (2017): 45-53. Hao, Qiukui, Bi Rong Dong, and Taixiang Wu. "Probiotics for preventing acute upper respiratory tract infections." Cochrane Database of Systematic Reviews 2 (2015). Berggren, A., Ahrén, I. L., Larsson, N., & Önning, G. (2011). Randomised, double-blind and placebo-controlled study using new probiotic lactobacilli for strengthening the body immune defence against viral infections. European journal of nutrition, 50(3), 203-210. Mazidi, M., Rezaie, P., Ferns, G., & Vatanparast, H. (2017). Impact of probiotic administration on serum c-reactive protein concentrations: systematic review and meta-analysis of randomized control trials. Nutrients, 9(1), 20. Thaiss, C. A., Itav, S., Rothschild, D., Meijer, M. T., Levy, M., Moresi, C., ... & Dori-Bachash, M. (2016). Persistent microbiome alterations modulate the rate of post-dieting weight regain. Nature, 540(7634), 544. Iwasa, M., Aoi, W., Mune, K., Yamauchi, H., Furuta, K., Sasaki, S., ... & Sato, K. (2013). Fermented milk improves glucose metabolism in exercise-induced muscle damage in young healthy men. Nutrition journal, 12(1), 83. Ma, Y. Y., Li, L., Yu, C. H., Shen, Z., Chen, L. H., & Li, Y. M. (2013). Effects of probiotics on nonalcoholic fatty liver disease: a meta-analysis. World journal of gastroenterology: WJG, 19(40), 6911. Nimgampalle, M., & Kuna, Y. (2017). Anti-Alzheimer properties of probiotic, Lactobacillus plantarum MTCC 1325 in Alzheimer’s disease induced albino rats. Journal of clinical and diagnostic research: JCDR, 11(8), KC01.